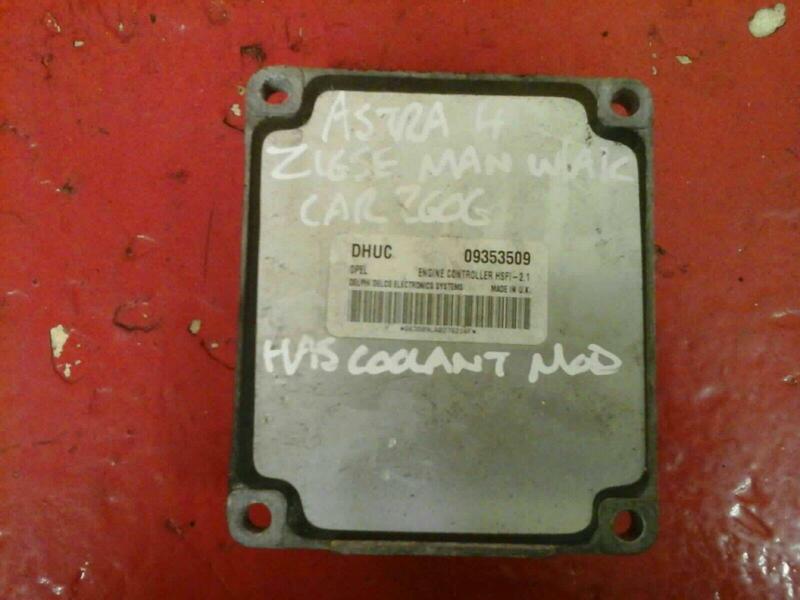 ECU removed from a 2000 VAUXHALL ASTRA CLUB 1.6 8V. Good used condition - tested with no faults, to fit Astra G Mk4 2001-2004 shape, came from a 1.6 8V engine Z16SE engine code with manual transmission and air-conditioning, also has transponder and chip within a key and barrel as pictured, this car did have a coolant module fitted. Part number is 09353509. 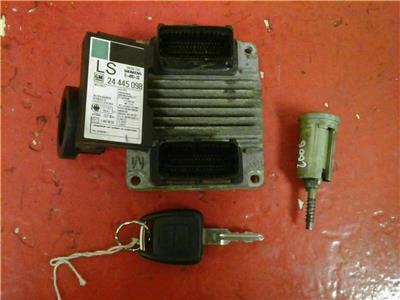 Please ensure that the part number matches as we will not refund ECU`s if in correctly ordered. All ECU`s are checked for stored fault codes and are all fault free. Any recurring fault codes from your original ECU are not linked with our replacement part. Please check that your ECU is the part required as ECU`s bought due to mis-diagnosis are not returnable. Price includes delivery via Royal Mail Special Delivery next day.